Through a case study in Iceland, we show how the "green" image of renewable energy sometimes makes the public overlook the negative impacts of these technologies. As a result, some of Iceland's renewable energy resources have been misused to generate private profits for companies outside of the country. While, the benefits for the local population are, at best, questionable and large areas of unique nature have been lost forever. We found that the two projects were the outcome of an aggressive industrialisation strategy driven by successive Icelandic governments over a number of decades, which have essentially used the country's renewable energy sources to prop up other environmentally damaging industries. 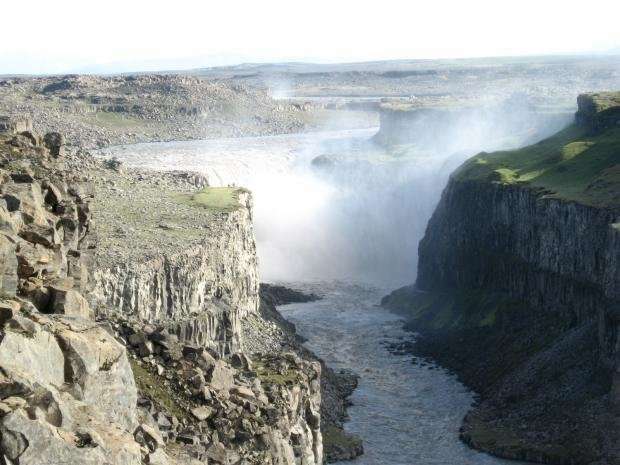 As an incentive, the Icelandic government, together with the country's publically owned power company Landsvirkjun, promised to provide the required energy from renewable sources, namely hydro and geothermal, to companies that agreed to set up factories in the country. This "clean" energy option was offered at very competitive rates and with a guarantee of supply for several years. Let's look at each project in turn to see what went wrong and what lessons can be learnt. One of the following projects is the the Kárahnjúkar hydropower project. It consists of several reservoirs, tunnels, and the Fljótsdalur power station. It generates approximately 5,000 GWh per year, accounting for more than one fourth of all electricity produced in Iceland in 2016. All of this energy is used to power a big aluminium smelter built by the global company, Alcoa, on the east coast of the country. The power plant and the power-intense aluminium smelter must be seen as interlinked projects, because Alcoa's commitment to build the smelter was the precondition for the power project going ahead, and vice-versa. With the Kárahnjúkar project, unique geological formations and landscapes in and along the Hafrahvammagljúfur canyon were irredeemably lost and downstream ecosystems suffered negative impacts that are yet to be fully understood. For example, the local fish population in Lake Lagarfljót collapsed and Iceland's wild reindeer population lost part of its grazing and breeding grounds. As a result, Iceland has not yet benefited from tax revenue from the smelter. This is particularly scandalous, as Alcoa has described the smelter in its 2012 annual report as a "profit leader" due to the low local energy prices. 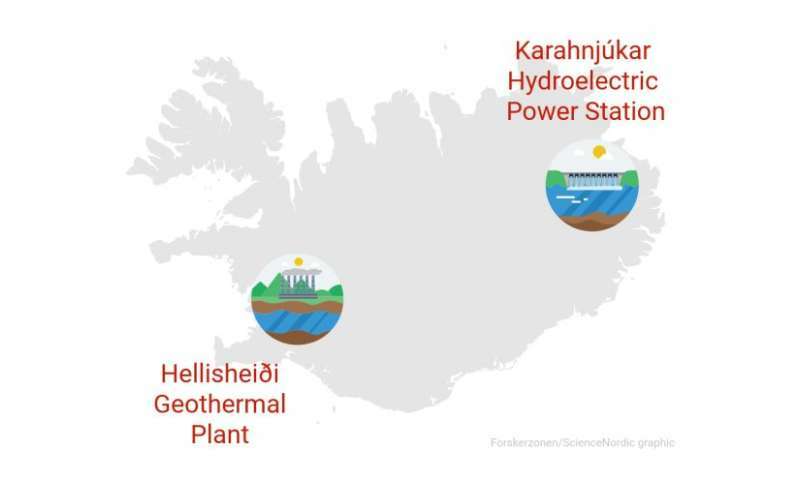 While the Kárahnjúkar hydropower project shows what can go wrong when the green label of renewables is uncritically accepted, the Hellisheiði geothermal plant shows what can happen when aggressive expansion ignores scientific concerns. The plant is owned by a subsidiary of the publically owned power company Reykjavik Energy (OR) that operates in the capital region of Reykjavik. OR started constructing the plant in 2006. The plant was expanded to its full capacity of 303 MWe and 130 MWth by 2011 against scientific advice, which cautioned against excessive extraction rates. Two years later, OR announced that the geothermal field decreased in activity due to excessive extraction of heat and that the plant would not be able to run at full capacity. In 2013, the plant ran at roughly 90 per cent of its capacity. Output from the field is expected to decrease further by a few percent every year, resulting in big financial losses for OR. Was it all just hot air? Similar to the Kárahnjúkar project, the Hellisheiði plant was established to meet the needs of heavy industry and in this case short-sighted political interests forced its rapid expansion beyond its environmental limits. Not only did the plant lead to a big financial loss for OR and thus the municipalities that owned it, it also caused environmental and health-related problems. For example, when geothermal energy is harnessed, water is extracted from hot geological formations. When the hot water or steam come to the surface, it often carries contaminants with it, such as sulphur or nitrogen. These elements are then emitted into the atmosphere as gasses or find their way into the waterways. Sulphuric acid, in particular, is known to cause damage to the local environment and worsen respiratory conditions among local inhabitants. 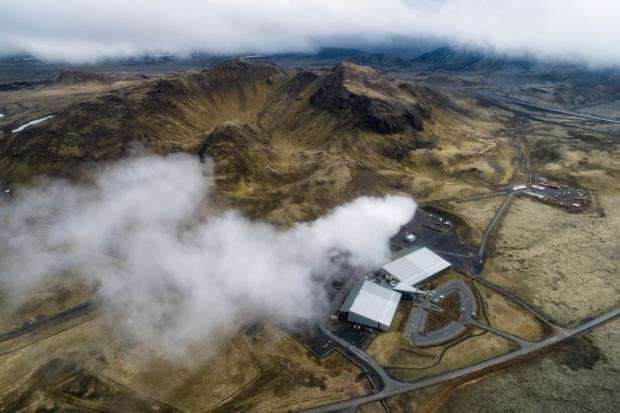 Studies show that health problems in the capital region of Reykjavik can be traced back to the emission of these gases from geothermal sources, including the Hellisheiði geothermal plant. What can we learn from Iceland? To make it crystal-clear, we see a transition away from fossil fuels and towards renewable energy as the only acceptable way forward. But the success of renewables is also dependent on the political framework that we set. These two cases show what can go wrong when short-sighted strategies to foster industrial development dictate a country's political decision making. The expected economic gain led to decisions that have degraded the natural landscape of Iceland, and have led to health hazards, with small economic benefits or even losses for the state in return. Iceland demonstrates that renewable energy is not always beneficial and that we always need to ask questions about the purpose of our energy production. In particular, there are two questions, which we should always keep in mind when assessing any new energy project: Who benefits from using a country's natural resources? And who bears the burden if it doesn't go to plan? Asking these questions should help us to design the coming energy transition in a manner that really serves our societies as a whole.